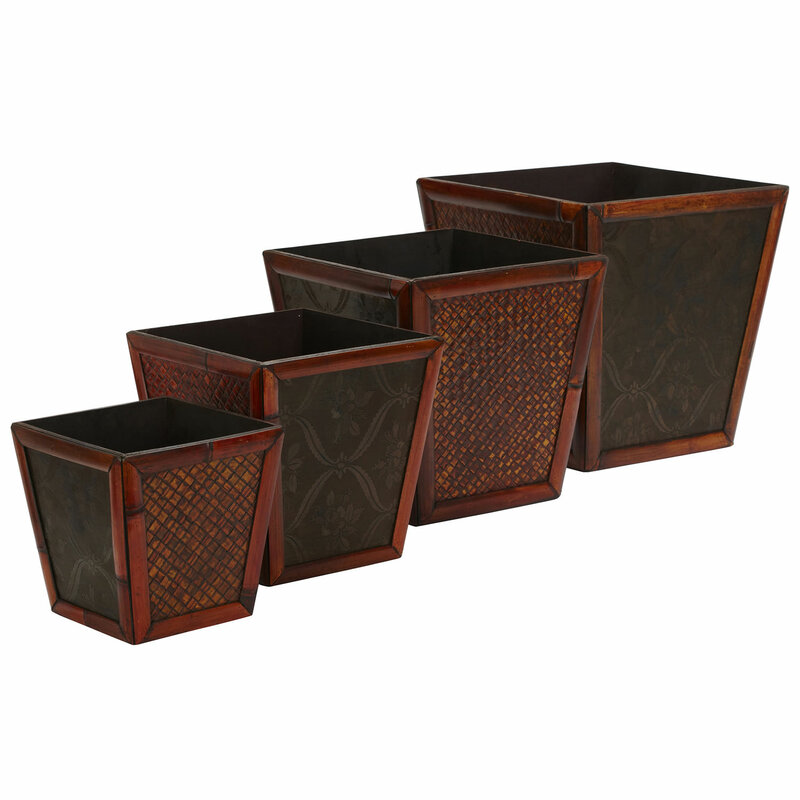 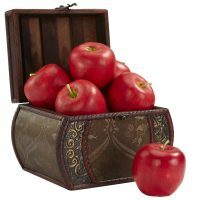 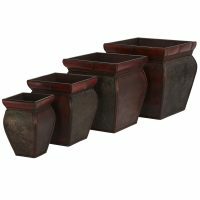 In a set of four (to maximize your decorating potential), these two-patterned planters are sure to delight. 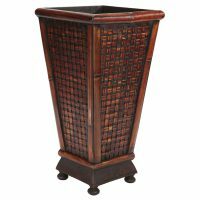 One side is decorated with a raised cross thatched design in a rich variety of dark burgundy and light browns; while its neighbor is finished with a light charcoal gray floral pattern on a darker background. 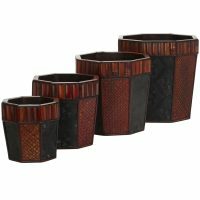 Both patterns are framed with a beautiful wine colored bamboo finish.